Bits and Pieces...: Webster's Pages WONDERFALL Blog Hop! oh Anabelle, what a wonderful layout! Thank you so so much, I'm honored that you've created this Lo with photo of Rose! This is amazing! I was sure that it will be something magnificient, what a wonderful surprise! Great layout! I love what you did with the secret envelope and the ribbon. And my favority activity during fall? I love to pick the apples from the trees and make apple pie and lots more recipes with apples! Really, really beautiful, Anabelle! Love the design and all the lovely cut flowers. The envelope behind the photo is a great idea and looks fabulous, as does the gathered fabric ribbon. Stunning! This is such a wonderful layout! I really love all the pretty details you added, especially the gorgeous fabric trim on the bottom. I love to spend time outside during fall. It's so great to see how the change of seasons. oh anabelle! how precious. i love how you move the eye around the page with the frames. beautiful! Gorgeous, Anabelle!! I adore the depth of color from using the vellum on the background!! Lovely layout, Annabelle. I love taking a walk in the park in Autumn and admiring the beautiful hues of leaves. This blog hop has been so inspiring. This is another fabulous page! I'm going to try that ruffle...way cute! Beautiful layout! My favorite fall activity is celebrating all the holidays!!! Oh what a wonderful LO!!!! I adore all the colors and textures!!! One of my favorite recipes is making mulled cider....lots of apple cider, some cinnamon, cloves and ginger!!! I make a huge pot of it in my crock pot and can enjoy it all week!!! Anabelle, I also love Karola .... and I'm hoping to win a kit Webstear's, despite living so far away in Brazil. I knew your blog by Carol, and I was delighted with tapirs beautiful things. Congratulations . I love that you used the vellum on this totally gorgeous page! 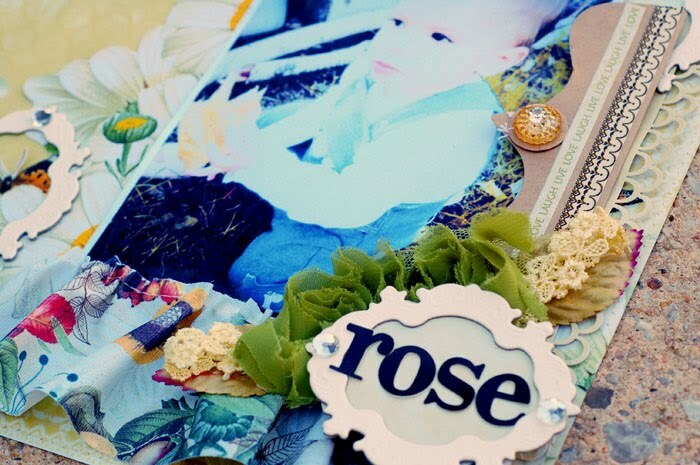 I love that sweet photo of Rose too! This has been so inspiring to see all of the team's beautiful creations with this gorgeous collection!!! Thanks so much for the inspiration!!!!! Very cute layout, I love the colors! Beautiful layout. I would have to say I would love a piece of home made apple pie --yum, yum. What a beautiful page, really stunning! One of my favorite fall recipes is one that I have for Applesauce muffins, which I always make after I have canned a bunch of applesauce. Annabelle, this is a beautiful layout. What a LOVELY page! My favorite fall activity is looking at all the gorgeous colors of the leaves and watching them drift to the earth. Sure had fun looking at these wonderful pages! pumpkin pie from Costco! LOL! Love you page! I would have to say my peasant potato and sausage soup. I LoVE it! This is so pretty, I love the way you used those neat frames. I love pumpkin bread. I especially like it during the Fall. Love all your touches of trim. So cute. My Grandmother's pumpkin pie is a favourite here! wow, love those raised butterflies, gorgeous layout! My favorite fall recipe is banana bread and also butternut soup with orange peel grated into it! so yummy! What a beautiful page!! The colors are great! My favorite recipe in fall is applecake and vanilla ice,yummy! Great page, and darling photo. Beautiful layout. Love all the fussy cutting. Favorite fall recipe is homemade pumpkin pie. I only eat it around thanksgiving which makes it even more special. For my fav fall recipe--I just love the simple carmel apples! MMM! I am not much of a cook....or baker...so I buy lots of pumpkin pies and carmel apples:) LOVE IT! Beautiful layout. My favorite fall food is probably candied yams. No marshmellows, just yams, orange juice and brown sugar. Yum, yum, I love it! I love all the gorgeous details on this LO such as the ruffled trim, the sparkler on the envelope, the butterflies, etc. My favorite fall recipe is apple/raisin pie with icing coating the top. beautiful layout. love your fussy cutting and fabric ribbon. one of my favorite fall recipes is a Bobby Flay one, for sweet potato gratin (lots of chilis) but since the children won't eat it, I don't make it. 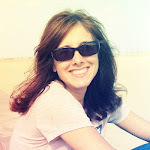 I love your blog and your creations. I stop by about every 3 days. Great layout. What a beautiful layout! Thanks for the chance to win....and pumkin scones is a delicious fall recipe that i love! My favorite fall receipt is the apple pies and other apple treats that we get from Apple Hill. Love the layout, it was just beautiful. Gotta get me some of this collection! Gosh is this ever pretty, Anabelle! You make gorgeous girlie pages! Totally amazed with all these pretty pages you all have shown. Thanks so much for a great blog hop. This is yet another very beautiful page with lovely colors and lovely details. Lovely Lovely LO, The Vellum was my runner up for favorite part of this collection. Love it on the white. Core a good crisp cooking apple. Place in a greased pan and sprinkle with 1/8 tsp of cinnaomon and 1/8 cup of brown sugar. Bake uncovered in 350 oven for about 35 to 40 minutes. Serve with vanilla icecream, YUM!! Mix all dry ingredients in a bowl. Combine milk, egg whites and pumpkin butter or canned pumpkin in a bowl and mix until smooth. Combine wet ingredients with the dry and mix well with a spoon until there are no more dry spots. Don't over-mix. You are such a gem Anabelle. Your work is always so inspirational to me. I LOVE what you created here. XO! What a darling LO! I especially liked the way you ruffled the fabric ribbon at the bottom of the page and how the envelope flap is also a decorative element. Beautifully crafted! Anabelle - such a sweet and tender layout!!! what a fabulous page. I dont have any recipes to share but i love to eat!! haha! Love all of the beautiful layering on this layout! Love everything about the fall...sweater weather, fall leaves, pumpkin patches, etc. 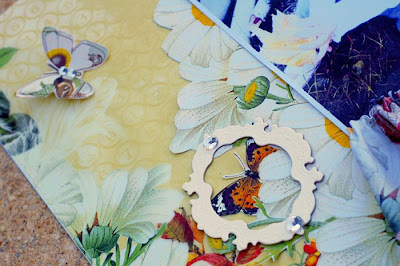 Great blog hop and beautiful Layout! Wow, how beautiful!! Love that LO!! Thank you for the chance to win. I already bought that line and getting the journaling cards would be just perfect!! And the little whimsies are my fav new embellie!! I love making Brunswick Stew in the fall! Indeed a sweet LayOut with a sweet picture! And I forgot to write on the other blogs, another great thing to do in the fall, is going through all the great new fall-scrapbook papers, haha! This is such a beautiful layout! I love, LOVE the design! You have inspired me to get this fall line to create layouts of my 3 granddaughters fall birthdays. I will be using some of your wonderful techniques!! One of my favorite recipes is Sweet Potato Bake (sweet potatoes or yams, brown sugar, butter, cinnamon spice blend, salt, orange (zest & juice), granny smith apples, and fresh cranberries). Gorgeous layout, Anabelle. I love all of it! Absolutely beautiful colors and design in your LO. I really think it's the best! My favorite fall recipes would have to be for my mother's apple butter and Pear Honey. Love what you did with this collection Annabelle! The butterflies are just perfect. Cute photo too! i grow roses...so i love this layout the most! happy fall hope you get time to enjoy the outdoors as much as i do! I like the envelope and the way you used the bloomers on your fab layout. I have a great apple cake recipe that is a family fave. Beautiful page!! I just love fall, the colors, cooler weather, and of course fall baking!! I too love anything with apples and pumpkins this time of year. Beautiful layout! My favorite fall activity is to take walks on our beach walk, where I live, on a nice sunny, cool, crisp, fall day! Beautiful Page! I love the new line of papers. My favourite fall recipe is to simply roasted vegetables...butternut squash, red onion, garlic, carrots tossed with olive oil and roast at 450 for about 45-50 min. Delicious! gorgeous LO! my fav fall recipe is apple ginger pie from william sonoma! Just gorgeous-I love all the layers. And I appreciate the closeups showing how you did it. Recipe-you're going to laugh. Try making a grilled peanut butter and jelly sandwich on a cool fall night. You have to drink a frosty cold glass of milk with it and be careful not to burn your tongue on the hot jelly! The ruffle indeed made it perfect! What an adorable baby! Very beautiful LO! Love all the details. My favorite fall activity is picking apples. Kids love it and I get to bake delicious pie afterwards, love it! Beautiful job Annabelle!I love Pumpkin chocolate chip cookies! My fav fall thing to do is visit the pumpin patch! I love that we can pick them right off the vine - and they make for a great background too! My favorite fall activity is scrapbooking with fall papers, baking apple pies and enjoying time together with family and friends. Beautiful layout. I am well known for my pumpkin cake recipe. Gorgeous LO, love how you left an envelope behind the photo so that Karola could personalise her LO. Hmm recipes for fall, well it would only be slightly cooling off here in QLD Australia and we would eat mostly BBQ's and salad, so the best recipe for me would be Kangaroo steaks marinated in a garlic and wine, with a pumpkin, spinach and pine nut salad. Gorgeous, gorgeous, Anabelle! So many beautiful details on here! Love how you used the envelope! What a very inspiring page you created - love it. . . one of my favorite recipes for fall (and I have many) is my homemade "Gingered Pumpkin Soup" . . . I will post the recipe on my blog soon . . . I love your beautiful layout! Thanks so much for the chance to win these lovely gifts from Webster's Pages! My favorite fall activity is Apple Picking with my family. Then, of course, I get to bake so many delicious goodies with them...the best part! Don't really have a favourite recipe but love to get the crockpot out and start having all those hearty casseroles and soups that we have missed over summer. Lovely layout, thanks for the chance to win. My fave fall recipe is pumpkin roll, delicious pumpkin cake and cream cheese all rolled up in one, yum. Ok, now I'm hungry. Beautiful, Anabelle!!! It's so detailed!! And I love all the soft colors here!!! I love that I get to buy new clothes in new fall colors, and then wearing them for the first time! Oh...my favorite fall goodie is my famous pumkpin chocolate chip muffins. They are to die for and if I win....I share the how-to!!! What a beautiful layout! My favourite fall activity is taking a walk in the park and looking at the beautiful hues of the leaves. Oh I just love the fabric ribbon, perfect touch! My favorite fall recipe is pumpkin cheesecake - I'm sorry I don't have the actual recipe! It's my best girlfriend's recipe, but she is out of state and I can not get it at this point. Thanks for the chance to win! 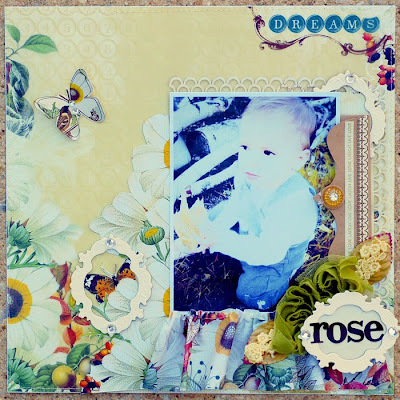 Pretty layout - the name Rose befits that sweet little girl, she's beautiful. My favorite fall recipe is chocolate chip pumpkin bread. The neat thing about it is how adaptable it is - just use whatever pumpkin bread recipe you like best and add 1/2 cup per loaf pan mini semi sweet or milk chocolate chips to the mix! Stir in gently. Gorgeous layout, Anabelle!! Love the envelope peeking from behind the photo as well as all the bling and little details you added. Anabelle this is fantastic and so inspiring! I love your use of the fabric ribbon! Gorgeous and girly! My favorite thing during the fall is to visit the Pumpkin patch with my family! Such a beautiful layout! I'd love to scrap feminine for a switch at times too! Wonderful take on the Wonderfall collection Anabelle! I have no favorite fall activity since we don't have fall here in my part of the world. I love the colors of fall, though and would love to visit there during the fall season. I am sorry I dont have a nice recipe to give you I just dont cook well, but I love the fall ! :) I hope it doesnt disqualify me. Love how you layer so many items on your pages and cards. They are so beautiful. beautiful layout with lots of lovel little touches. family, outdoors and having fun are the favs for fall! Simply a gorgeous page Anabelle...love how your have layered your papers....so very special. I love to make beef stew in the fall. It is to hot during the summer and even the spring for this comfort food where I live, but once fall weather kicks into gear, you are sure to find a BIG pot of my beef stew on the stove.